Tenkara is a traditional form of fly fishing from Japan. It was developed in remote mountain villages by commercial fishermen who were mostly cut off from the outside world and had to make their own equipment with what little resources they had available to them. Early rods were bamboo, the lines were made of horsehair, silk, or other materials, and the flies they used were little more than bent needles with some local chicken feathers and thread lashed to them. Since early tenkara fishermen lacked the resources to make anything resembling a mechanical reel, tenkara developed as a “fixed-line” method of fly fishing–meaning instead of incorporating a reel, the line was tied directly to the end of the rod. Obviously the lack of reel didn’t hamper the effectiveness of the method, since it supported the livelihoods of countless generations and has survived to the present day, spreading far beyond Japanese borders. Not much is known about the early history of tenkara since it wasn’t recorded. For the ancient fishermen, fishing was a means of survival–not something romantic they felt compelled to document (plus, many were illiterate so it’s doubtful they would have been capable of leaving a detailed history). It was merely a practical way of earning a living. Without a written history, no one really know how far back tenkara dates. Some speculate a few hundred years, others say thousands. We’ll probably never know. Little has changed in the modern practice of tenkara. The setup is essentially the same: just a rod, line tied to the tip, and a fly. 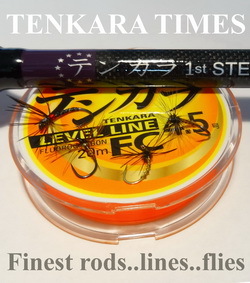 But technology and modern materials have lead to significant advances in gear design allowing modern tenkara anglers to push the boundaries of the technique. 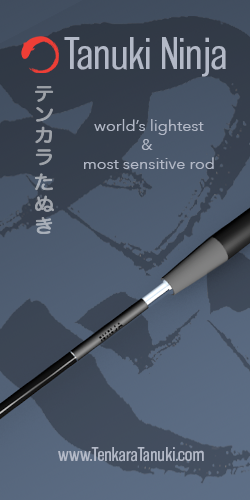 Today, rods are made of high modulus graphite to make them stronger and lighter than their bamboo predecessors. They’re generally longer than western fly rods (typically 11-15 ft.). Many see rod length as the main advantage of tenkara since it allows the angler to keep the line off the water, thus eliminating drag on the fly. They’re also telescopic and when collapsed, are extremely compact, making them ideal choices for backpacking or travel. 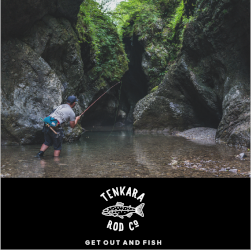 Tenkara originated as a method for catching small stream trout but the advent of modern hi-tech rods has allowed anglers to target a wider variety of larger species including bass, pike, salmon, carp, bonefish, and even tarpon. While anglers in Japan still primarily use tenkara for trout, anglers around the world are successfully adapting it to warmwater, stillwater, and even saltwater quarry. Modern lines are also made of hi-tech materials. Some are furled and tapered and are made of thread, monofilament, or Kevlar. 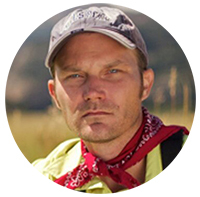 Others are just level lines–the most common being made of fluorocarbon. And there are even highly specialized lines made of titanium wire. Some anglers still do prefer to fish with furled horse hair lines today, but the vast majority fish with furled lines of a modern material or fluorocarbon level lines. As mentioned, ancient tenkara fishermen in remote mountain villages had limited resources. So when it came to tying their flies, often their choices in materials were restricted to whatever the local animals had to offer. This meant that fisherman might only be able to tie a pattern in one color (whatever color their chickens happened to be, for example). So many ended up having to learn to catch fish with only one style of fly. Today, many anglers honor this tradition by adopting the “one-fly” approach. Rather than carrying a variety of fly patterns and trying to match the local aquatic insects that serve as the trout’s food source, they limit themselves to just one pattern (sometimes in only one size). The idea is that one relies on their presentation skills in order to entice a fish to strike rather than a realistic imitation. The one-fly approach is probably more common in Japan with most anglers outside Japan using a variety (or limited number) of patterns. A common misperception is that tenkara is the same as dapping (a method where you hold the rod high and dance the fly on the surface of the water). While it’s true that you can make that type of presentation with a tenkara rod, the overwhelming majority of tenkara is done using the same casting style as would be used in western fly fishing. The physics involved are identical–the weight of the line is what propels the fly and this is why it is often referred to as “tenkara fly fishing”. 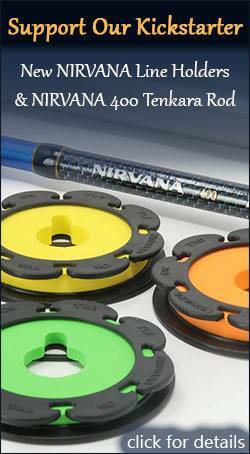 The absence of a reel might seem like a disadvantage, but many anglers are drawn to tenkara precisely because of this. Many feel it is a more efficient way of fishing since you can focus on presentation rather than line management and others feel it is a true test of their skills to not rely on mechanical devices to catch fish. Since there is no reel, fish have to be landed by tilting the rod back, grabbing the line, and pulling it in hand over hand until the fish can be brought to the hand or net. If the fish runs, the angler loosens their grip on the line, effectively replicating a mechanical drag, then resumes pulling it in when the run ends. Many feel this hands on approach gives them a more direct connection to the fish and the sport in general. Tenkara is a unique method of fly fishing that has grown rapidly over the last few years and will likely continue to attract new adherents and evolve as it’s popularized in different cultures. This is only a very brief overview and there is a lot more to the tenkara story. 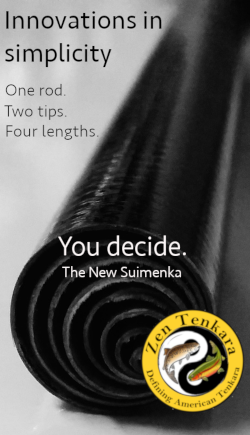 To learn more, please visit my tenkara links page for more resources on tenkara gear, techniques, and history.